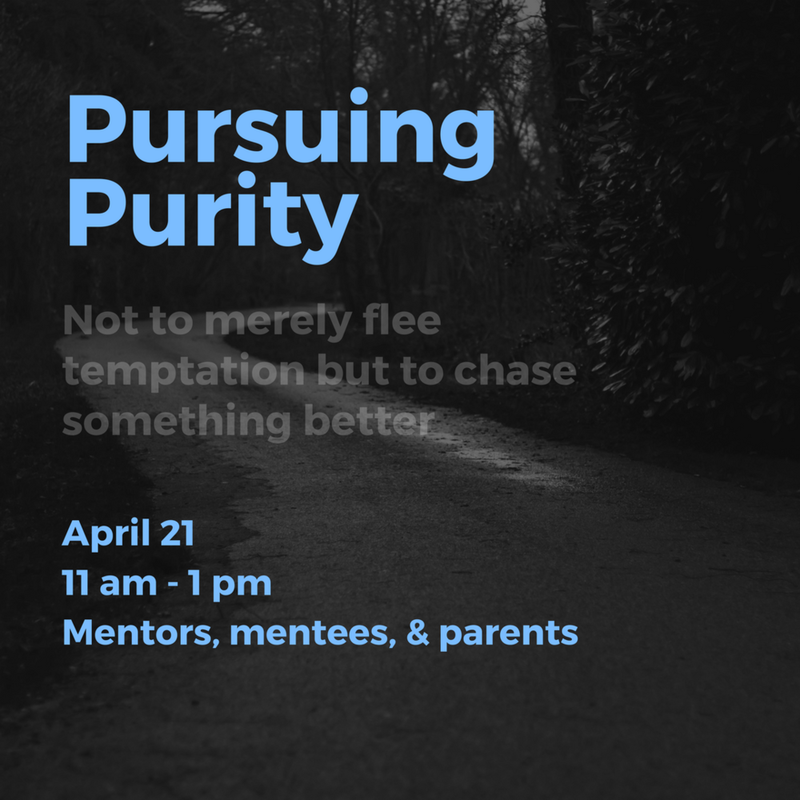 Mentors, mentees, and mentees' parents are encouraged to join us for a conversation about pursuing purity - not to merely flee temptation, but to chase something better. Pursuing Purity will feature extended time for parents to be encouraged and empowered as well as time for mentees and mentors to have guided conversations, facilitated group discussions, and critical reflection. Get ready to roll your sleeves up and go to work as together we pull back the curtain on youth sexuality and the ways that inappropriate expressions, outside the confines of marriage destroy the very freedom that they claim to bring.